Technically they aren’t new to any of our readers who live in the United States, But over here in UK we always get a delay with shows. Last week saw the debut of 3 new shows on British TV, 2 of which I assume will go on for a fair few seasons if viewing is high, and one is only a short one off season produced by Will Ferrell. I’m talking about Brooklyn Nine-Nine, Mob City and The Spoils of Babylon. 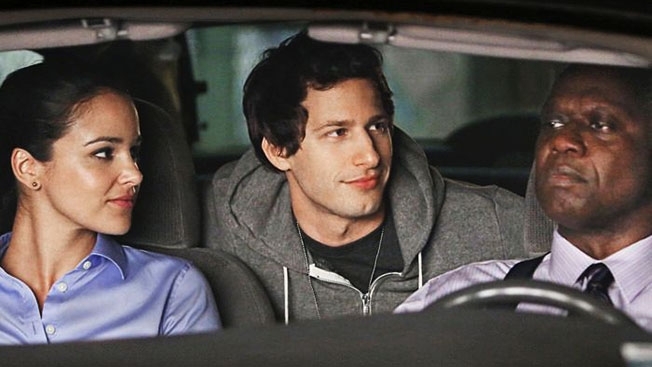 I’d kept a close eye on the ‘fall shows’ that were to debut in USA and Brooklyn Nine-Nine (Will abbreviate from here as B99) caught my attention for one reason, Andy Samberg. I Can’t say I’m his number 1 fan as I haven’t seen any of his Saturday night sketches, I only know him through ‘The Lonely Island’ and from the hilarious ‘Hot Rod’. But I really liked him from these alone. So I checked out a trailer and without a doubt knew I had to make sure to watch this when a British channel picked it up. Well after a while e4 finally previewed it’s 2014 lineup and there to my joy was there B99. The first episode debuted on Thursday 16th January and I’ve been sure to set it for series record on my Sky box. The first episode I’m happy to say was awesome. I really enjoyed the introduction to the characters and the precinct. It’s got a rather impressive cast assembled and it can’t go wrong with Terry Crews included in that list. I particularly liked Joe Truglio, the nervous, hard working, detective. His introduction to the new police chief with the scene where he’s about to enjoy a muffin had me in stitches. Of course the star himself Andy is also very entertaining and amusing in the show, His dumbstruck look when he clicks together that the new chief is gay and his admittance that he’s a bad detective made me chuckle. All in all I’ve enjoyed the opening episode and look forward to more of it. Hope that it can pull the viewers in and get a good number of episodes and seasons. I mean they still make 2 broke girls, so they should keep this going. 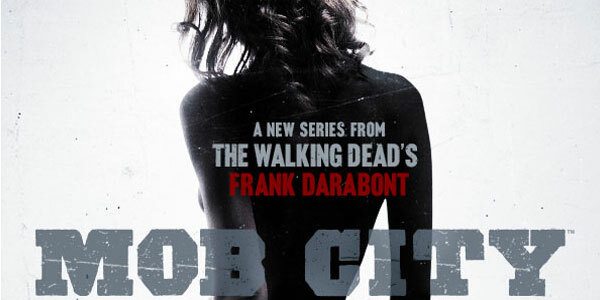 Next up I watched the first episode of Mob City. It was another nice introduction episode. We’re treated to a brief show of a booze robbery during the prohibition era, A crafty con job. We’re then told that these 3 individuals would go on to be powerful men in their later years. Time then jumps forward to 1947 where I assume the season will pick up from now. We’re introduced to Detective Joe Teague who discovers a note in his mailbox written on a matchbook. He attend’s the location displayed on the matchbook at the time and meets stand up comedian Hecky Nash who attempts to hire Joe as a bodyguard for a trade job. Joe eventually agrees to the offer. The trade off happens and Nash is $50k richer for trading some negatives. I won’t continue any further with the episode as I don’t want to spoiler anymore than that if you haven’t watched yet. But Lets just say as I mentioned previously, you end up seeing just how powerful the original 3 guys on the prohibition robbery really are some 20 years later. Finally The Spoils of Babylon. Now initially I did what I assume most people will do when they see the poster for it. Think it’s another costume period drama that looks dull. You’ll see Toby Maguire on the poster and think, “great he’s got a crappy TV Role” But look a little closer and you’ll notice that one character appears to be portrayed by mannequin doll… wait? Lady Ann is a mannequin doll. And Kristen Wiig’s in it? She’s normally all over the comedic roles. Another costume drama….or is it? Once you see the introduction of the story, brought to you by no other than Will Ferrell who appears to enjoy a glass or red wine… or three you realize that this is going to be alot different to Downton Abbey. When the story actually begins rather than old manor houses in countrysides, it’s a world created with cheap toys and train sets. Here we go. The show boasts a rather large and star studded cast, however in Episode one we don’t even meet half of the billed line up. But that’s not to matter as it’s already just plain stupid. Don’t read that as a negative, this show is everything that you would expect from Will Ferrell and Adam McKay, which is stupid and funny. This episode we’re introduced to the leading star of the series Toby Maguire and how he meets the lady of his life, who happens to be his sister. He’s adopted so it’s not too bad, but yeah it’s bad. We learn how his father goes from crazy washed up oil digger to billionaire from one lucky oil strike. All in all I really enjoyed the first episode and it made me chuckle at the most stupid of scenes. I’m really looking forward to the next episodes in this series to air. All in all, not a bad start to 2014, and it’s nice to have something during the opening months of the year to watch to pass time till Walking Dead returns and the premier of Season 4 of Game of Thrones. If you’ve not seen any of the shows mentioned, I’d recommend taking the time to catch up on them.